Any one have a light bar on their tower? looking to install a rigid light bar for night surfing just wanted to know what others are using?? It would be around here - but if they are surfing then aren't they technically just following the boat? Do you want to shine light in their eyes from above? We can surf an hour after sunset here but I chose to use transom lighting for the wake. I have heard that underwater and transom lights are best for surfing - tower lights make it too difficult for the rider to see. You could always do the transom lights and turn the tower lights forward to see the logs in front of you. I went with the tower lights on the speaker shelves (yes, I still have those on my boat) and find when surfing that they don't shine right in the eyes of the surfer. 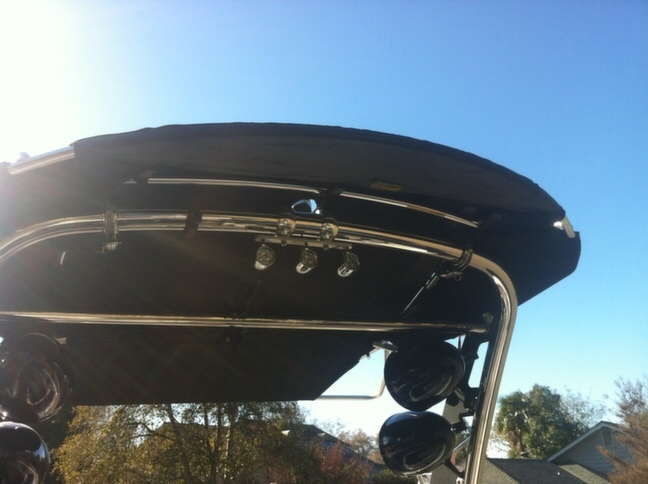 As River Monsters mentioned, we also have the underwater transom lights to help light up the wake. Ask the cop when he pulls you over. I've got a 50in Rigid on the way for my tower, although I am going to install it facing forward. We either ride on a very small creek or a private lake 90% of the time so I'm not worried about laws. I want it more for loading and unloading at the very dark ramps we use and being able to see the fallen surfer when turning around. I'll post up some pics next week when we get it fabbed up. ryan did you get a 50" single or double row ? 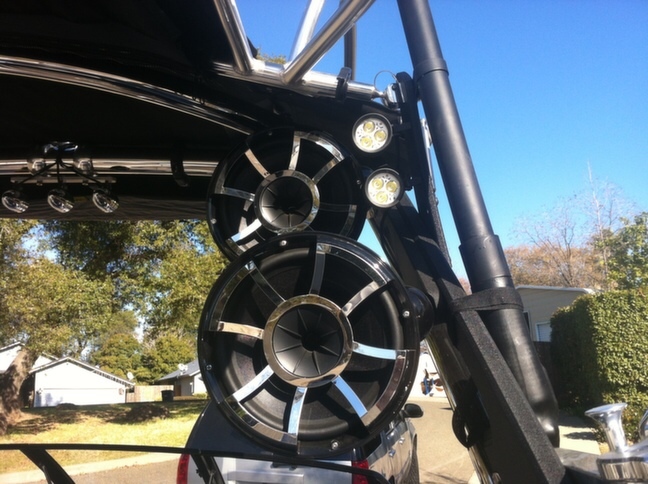 I Had an 08 VLX that I mounted 6 Rigid offroad LED lights on, 4 Dually spots, facing forward and 2 Dually difused facing backwards. this worked great for surfing and I could actualy see in front of me at night. I would attach pictures but I sold it this year and got a 2014 23LSV. Wheh I add lights to the new boat I will upload pictures. Nope, I was going to mount it on the under side of the tower but it would hang too low and I was afraid some one would bust a head open on the edges.